Common signs include unusual sounds coming from the car, difficulty starting the car, and the Glow Plugs Light turning on. Glow plugs and glow plug timers are engine management components that are found on vehicles equipped with diesel engines. Instead of using spark plugs to incite combustion, diesel engines rely on cylinder pressure and temperature to ignite the fuel mixture. 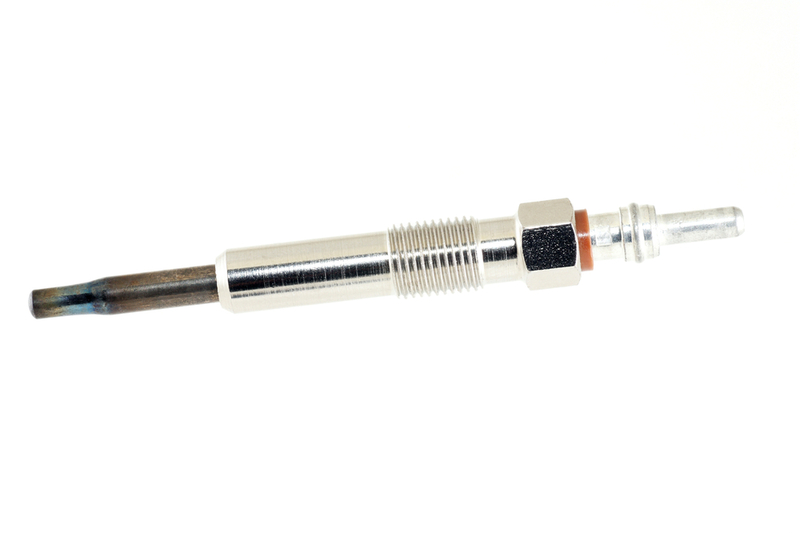 Since temperature can be considerably lower during cold starts and in cold weather conditions, glow plugs are used to help warm up the engine cylinders to an adequate temperature that will allow for proper combustion. They are so called because they will glow a bright orange color when current is applied to them. The glow plug timer is the component that controls the glow plugs, setting the time that they stay powered on for, making sure that they stay on long enough to adequately warm the cylinders properly, but not so long that the glow plugs sustain damage or accelerated wear. As the glow plugs and their timer play a major role in starting the vehicle, when any of those components have a problem, it can cause driveability issues with the vehicle. Usually a bad or failing glow plug will produce a few symptoms that can alert the driver of a potential issue. One of the first symptoms that is commonly associated with problematic timer or glow plugs is hard starting. Faulty glow plugs will be unable to provide the additional heat required to help the engine start normally, while a bad timer may cause them to operate at incorrect intervals. Both issues may cause starting problem with the engine, which may be especially pronounced during cold starts and in cold weather. The engine may require more cranks than normal before it starts, may require several tries before it starts, or may fail to start at all. Another symptom potential issue with diesel glow plugs or their timer is an illuminated Glow Plug Light. Some diesel engine equipped vehicles will come with an indicator on the instrument cluster that will illuminate or flash if the computer detects that there is an issue with the glow plug system. The indicator is usually a line in the shape of a spiral or coil, reminiscent of a wire filament, and amber in color. An illuminated Check Engine Light is another symptom of possible issue with the glow plugs or timer. If the computer detects an issue with the circuit or signal of any of the glow plugs, or the timer, it will set off the Check Engine Light in order to notify the driver of the issue. The light will usually come on after the vehicle has already begun to experience starting issues. A Check Engine Light can also be activated by a wide variety of other issues, so having the computer scanned for trouble codes is highly recommended. While replacing the glow plug timer is not generally considered routine maintenance, glow plugs usually have a recommended interval that they should be serviced at in order to avoid potential issues. If your vehicle is displaying any of the symptoms above, or you suspect that your glow plugs or the timer may be having an issue, have the vehicle inspected by a professional technician, such as one from YourMechanic, to determine if any of the components need to be replaced. Q: Glow Plug coil lights up while driving.